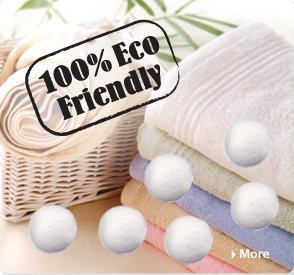 Right now at 8moms, you can get 6 Woolzies dryer balls for just $25. These sets regularly cost $33, saving you 25%! Your 6 Woolzies will last at least 1 year or 500 loads of laundry. They are made of 100% natural wool and are completely safe for babies and children on their sensitive skin. Additionally, because Woolzies bounce around in your dryer, they naturally separate and create space between your laundry, thereby allowing the hot dryer air to circulate better and subsequently cutting down on drying time by about 25% in large loads and as much as 35-40% in small loads.